I’m happy to announce that the third novel in my set that explores the small stories of the Revolution is now available in both paperback and ebook editions. In The Smoke, we meet Joseph Killeen, a young soldier in the Patriot Militia, tasked with scouting out the territory of the Iroquois Confederation as the Continental Congress is planning retribution for British-spurred attacks on frontier settlements in New York and Pennsylvania. A shocking turn of events brings him face-to-face with the Indians — and forces him to examine not only where his loyalties lie, but who he really is. This entry was posted in Uncategorized on January 1, 2014 by Lars D. H. Hedbor. The Aubrey-Maturin Series: No other historical novels have ever surpassed Patrick O’Brien’s epic set of novels following the misadventures of an officer of the British Royal Navy during the Napoleonic Wars, and his eccentric physician companion. The sweep of history worked into the stories, the sincerely heartfelt emotions of the characters, and the amazing detail O’Brien wove into his tales all make these must-read books. The Harry Potter Series: A wholly different series of books, I am quite certain that these books will still be as much read and beloved a hundred years from now as they are today. Ostensibly aimed at children, but featuring characters who must struggle with some of the deepest questions of right and wrong, these books will light up your imagination, and touch your heart. The Source: As an author of historical fiction, both O’Brien and Michener intimidate me deeply, and Michener is at the height of his powers in making a coherent and fascinating story out of the long history of the Levant. If you want to understand why Israel has wound up at the center of so conflict, both in the past and in the present, I cannot think of a better introduction to that land’s background. Guns, Germs and Steel: The widely disparate lifestyles of peoples in different parts of the world seem to defy explanation – why did some societies turn toward organized agriculture and more advanced technologies, while others found that the hunter-gatherer lifestyle was better suited to their needs? When civilizations came into contact and conflict with one another, what determined which ones would prevail? Diamond provides some provocative and thoughtful explanations, and along the way, teaches us a great deal about our history. The Moon is a Harsh Mistress: Robert Heinlein is best known for his seminal work Stranger in a Strange Land, but some of his lesser-known works are no less revolutionary and powerful. This novel appears on the surface to be a mere action-adventure about a revolution in a penal colony on the Moon, but along the way, Heinlein delves into some of the basic questions of how societies are – and can be – structured, as well as what it means to be a person at all. A surprisingly moving novel, this is Heinlein at his best. Starship Troopers: Another Heinlein novel, this one is best known for inspiring the vapid gore-and-slime movies of the same name. Rest assured that the novel bears no resemblance to the films. Instead, in this novel, Heinlein explores the questions of what it means to offer one’s service in defense of what one holds dear. Anthem: Ayn Rand isn’t to everyone’s taste, though it helps to remember that she is a Russian novelist, despite writing in English. However, this slim novel is a departure from the dense, difficult complexity of some of her better-known works, and is the story of the emergence from a dystopia and the meaning of what it is to be an individual. Bridge to Terabithia: A deeply moving novel, this is both a coming-of-age story and a novel that ventures into the fraught waters of childhood love and loss. I’m not ashamed to admit that the ending makes me weep every time I read it. Journal of the American Revolution: A collection of some of the best articles from the Journal, this book collects details of the American Revolution of interest to both armchair scholars and serious students of the era, in an approachable and highly readable way. Also, I would hardly be an author if I didn’t encourage my readers to buy a book that I contributed to. The Light and The Prize: Again, I cannot call myself an author if I don’t remind you to buy my books, too. These two novels are the first in the Tales From a Revolution Series, each of which recounts the events in a different colony during the American Revolution, and all of which focus on how the Revolution was experienced by ordinary people, few of whom set out to change history, but all of whom contributed in one way or another to the outcome. This entry was posted in Uncategorized on December 11, 2013 by Lars D. H. Hedbor. I know it’s been a long time coming, but it’s here at last! Available in paperback or ebook format of your choice, my second novel of the American Revolution has already been lauded for its beautiful prose and attention to historical detail. See what all the excitement is about, and get your copy today! As his world erupts in open warfare, Robert Harris’ Quaker faith guides him away from the use of violence for any purpose, even if the war could lead to the loss of his freedom to practice that faith. Finding a balancing point between this existential threat and the commands of his inner light, while struggling against the chance effects of war, Robert must also face the challenge of an implacable foe, determined to destroy him at any cost. He must rely on the quiet guidance of his conscience to keep his family safe, and lead them to freedom. This entry was posted in Uncategorized on September 17, 2013 by Lars D. H. Hedbor. Now that I’ve done all of the hard work toward getting The Light into your hands (okay, there’s still the small matter of fulfilling the Kickstarter rewards – I expect to have those out next week! ), I am increasingly feeling the itch to start writing again…. It’s akin to the anticipation leading up to a long road trip–there’s some inconvenience attendant to making sure that things will be taken care of in your absence, and a few things to be loaded up that you’ll need along the way, but there’s also the thrill of heading into the unknown. I don’t know what I’ll find along the way, exactly, but I do know that there will be wonders, detours, delays, frustrations… and tremendous discoveries. Meanwhile, I’m reading history, thinking about what sort of story I will tell this time, hoping that it is an easy labor, without the need for massive interventions, and that the result is beautiful, sparkling, informative and that my readers find it worth spending a few hours with it. This entry was posted in Uncategorized on September 12, 2013 by Lars D. H. Hedbor. I know that many of you have been waiting for an awfully long time, and I cannot tell you how much I appreciate your persistence and interest. I am very pleased with the design of this volume in the series, and I cannot wait to share it with you all. This entry was posted in Uncategorized on August 5, 2013 by Lars D. H. Hedbor. One of the highest compliments I ever received was from a working historian, who told me that there was nothing in my novel that couldn’t have happened exactly as I had written it. I take my research very seriously, to the point where I’ve tossed pages of otherwise perfectly good writing… just because I discovered something that made it so that my fiction couldn’t be squared with the facts. This serious approach to the history in my historical fiction has now led me to a role that I am deeply honored to have been offered, as a contributor to the Journal of the American Revolution. Writing for them will not only allow me the opportunity to delve more deeply into topics that catch my interest, but it will also improve my skills as a researcher, as the rigor demanded of a non-fiction article is quite a bit more than is required even for high-quality historical fiction. So far, they have published my articles on the currencies of the Revolutionary era, a topic that I had brushed against in my research for The Light, and an article on the amazing accomplishments of Bernardo de Gálvez, who animates the pages of The Wind, my current work in progress. In addition, they have published an article on the state of medicine during the Revolution, a topic that hasn’t made a direct appearance in any of my books… but which may well do so in the future. I am excited about this development in my career as an author, and I hope that you enjoy these and future articles I contribute to this fine journal. This entry was posted in Uncategorized on March 26, 2013 by Lars D. H. Hedbor. It’s hard for me to write today, but I want to take a few minutes to share with you a loss that is affecting me deeply. As I was growing up, when I didn’t understand something happening in the world around me, I’d ask my Dad about it. As often as not, he’d wind up telling me a lot about the history that led up to the event I had asked about. His passion for that history was infectious, and it was only natural that I follow in his footsteps as an historian. Last week, my Dad died, taking with him a lifetime of accumulated knowledge, things that he’d delved deeply into, information he’d spent long hours poring through in order to come to a deeper understanding of what lay behind some event that had grabbed his attention. I’ll miss being able to ask him for guidance, and all I can do is to try to live up to his example. As you read my books, if it seems that I’ve gotten fascinated with some obscure aspect of the story, know that you’re hearing my Dad’s voice in my writing, and that his passion for the details of history inspired me to dig further. I’m deeply grateful for the experience of having had such a fine teacher, and I hope that I am able to live up to his example. This entry was posted in Uncategorized on February 18, 2013 by Lars D. H. Hedbor. One of the genuine joys of being an author is getting to meet people who’ve read my work and appreciated it. I recently had a signing event at a nearby bookstore, and got to meet a number of folks who were glad to tell me what they’d thought of my book. In addition, when I get a review from someone on Amazon, or Barnes & Noble, or Goodreads, I feel like I’m getting to meet those readers, as well. The reception that The Prize has gotten has been particularly gratifying, and I’ve gotten a lot of really invaluable feedback that way – insights that help me to improve my writing and do a better job of telling the stories that are important to me. I’ve also gotten passionate requests to continue the stories of the characters my readers have come to know and love. While my Tales From a Revolution series doesn’t really lend itself to continuously recurring characters, it’s not impossible that I’ll go back and revisit some of our favorite folks from my stories in one form or another. Captain Mallett of The Prize, in particular, demands to be heard from further, so you may expect to see his name again in the future. Please do keep on writing and posting reviews, and keep sending me emails and notes – I do my level best to respond to all communications in a timely fashion, and I love hearing from you, whether you have a bone to pick with me, or (even better) just want to tell me how my work has affected you and your understanding of our national origins. This entry was posted in Uncategorized on January 28, 2013 by Lars D. H. Hedbor. While we patiently wait together for The Light to make its way through the process from a document on my computer to a book in your hands, I thought that you all might appreciate a sense of what’s coming after that. My newest manuscript is tentatively titled The Smoke: Tales From a Revolution – New York. In keeping with my desire to find and tell stories of little-known aspects of our Revolution, I found myself drawn to the sad fate of the Iroquois Confederation through that era. While the Revolution led to the foundation of our nation, it directly caused the splintering of this native American confederation. the structure of which likely served as inspiration to our founders as they considered how to manage the disparate interests of the thirteen new states of the nascent union. Most of the nations of the Iroquois Confederation sought to remain neutral, until events forced them to choose between their old allies among the British, and the upstart American rebels. Some nations chose the British side, while others chose ours. All suffered terribly in the battles that followed, and I thought that their story needed to be told. 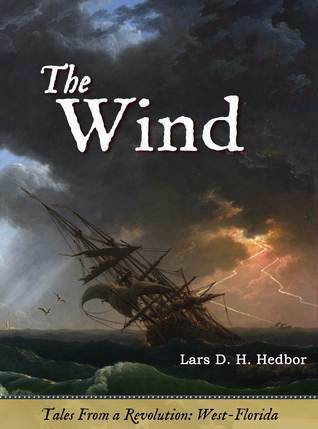 This entry was posted in The Smoke on June 8, 2012 by Lars D. H. Hedbor. Editing and revising The Light, it’s interesting to see how the arguments of the day find themselves in the mouths of my characters. One that was dear to the hearts of the Quakers who form the central figures in this story, and which, with our knowledge of what was to come later in history, is that of slavery. This entry was posted in Uncategorized on April 8, 2012 by Lars D. H. Hedbor. 247 years ago today, a group of angry men confronted two of the Crown's officials--a sheriff and his deputy--at the Pine Tree Inn in Weare, New-Hampshire. The assailants had been charged with holding timber that had been cut in violation of the Mast Act, which claimed as Crown property any tree suitable for use as a ship's mast, regardless of whose land it stood on. Hearing that the sheriff and deputy head come out to arrest them, the scofflaws decided to take matters into their own hands, severely beating both Crown officers and tying them to their mutilated horses. Later known as the Pine Tree Riot, this outbreak of violence was one of the many acts of defiance against Crown authority as resentment and anger over colonial rule approached the breaking point in the town green of Lexington a few years later. Today I launch my book of New-Hampshire, the heartfelt tale of Abe Sawyer, a young man suddenly orphaned and trying to make his way with only his eccentric aunt and a new friendship with the odd, but alluring Betty. He faces the heavy hand of the Crown officers' abuse of their positions head-on, and must navigate both his aunt's intrigues and Betty's strange and disturbing history to step into his new role in life. The Tree is available everywhere in ebook, paperback, and (any day now) audiobook. I can't wait to hear what you think of it! Visit Lars's profile on Pinterest.